S/Sgt. 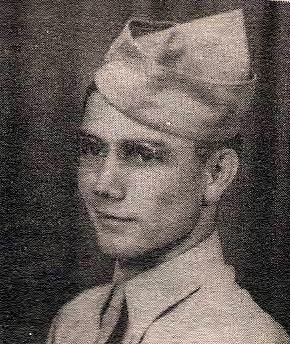 Gatlin T. Jones, son of Mr. and Mrs. Marvin Jones, Orth, husband of Dorothy Keuhn, Olney. Entered Army in 1940, trained at Ft. Sam Houston, San Antonio, Camp Maxey, Texas. Served in France, Belgium, Holland, Germany and attle of the Bulge. Awarded CM, Combat Inf. Badges and 4 Battle Stars, Amer.. Def. Discharged in 1945.